Visit the active Poas Volcano, an epic waterfall, and the one-and-only Starbucks Coffee Farm on a day trip perfect for nature and coffee lovers who are short on time but want to see it all. 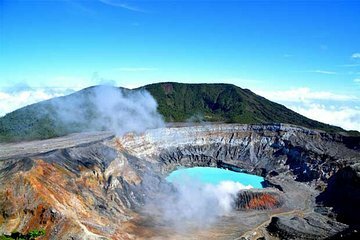 The small-group tour reveals cloud-forest scenery, plantations, and farms along the way to the second largest crater in the world. Plus, see behind the scenes at the farm that grows Starbucks’ renown coffee.